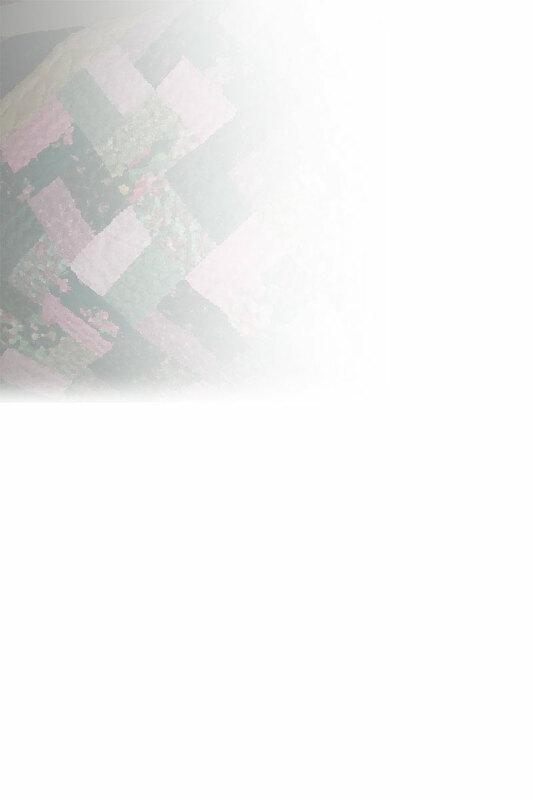 Border 2 Border Quilting Studio will turn your pieced quilt top into a treasured heirloom. We offer a variety of quilting and finishing services as well as small and individual classroom instruction and consultations. There is nothing else like it! The Gammill Optimum Statler Sticher, a computerized long arm quilting machine that offers the most state of the art quilting available today. It’s precision stitching at it’s best. There are thousands of patterns to choose from or custom design your own pattern. Either way, your quilt will be a unique treasured heirloom. You can relax knowing a professional quilter at Border 2 Border Quilting Studio is finishing your quilt. • Do you have an unfinished quilt that has been tucked away in a closet for too long? • Do you dream of learning to quilt someday but think it may be too hard or time consuming? • Are you looking for some inspiration, advice or perhaps a little push in the right direction for your unfinished quilt project? • Do you like to make quilt tops but dislike putting them together? • Are you looking for a handmade quilt for yourself or as a gift for a special occasion? • Are you creating quilt tops faster than you can quilt them? 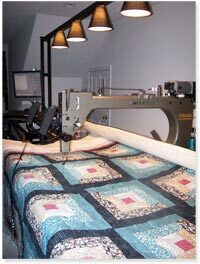 • Are you struggling with large quilts on your sewing machine? Border 2 Border Quilting Studio can help!